A divorce is a highly personal and unique experience. During this emotional time, it is very helpful to understand what to expect as your divorce proceeds through the court to a final resolution. 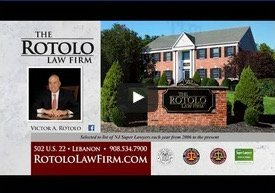 The Family Law attorneys at Rotolo Karch Law use their experience in divorce negotiations to guide their client through this complex process. Knowing what you can expect may help to ease the stress for those facing divorce. Set forth below are the general steps in a divorce proceeding. a separation of at least six months. 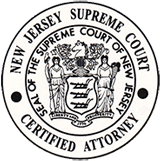 It is important to note that under New Jersey law, a spouse who engages in adultery or is disrespectful or callous to the other spouse’s needs is rarely punished by the Court and this behavior has very little legal impact in the divorce proceedings. A divorce proceeding is commenced when one spouse files a legal document called a Complaint for Divorce with the court requesting a termination of the marriage. The Complaint is a summary of factual information about the marriage. The Complaint also contains a section at the end setting forth what the spouse will be seeking from the court. This section is a “request” and is not an indication of what the court will ultimately decide. When a spouse has received the Complaint, he or she has the right to respond in an Answer and Counterclaim in which they set forth their response and “request” as to what they seek from the court. After these legal documents have been exchanged, there is often a need for interim relief called “Pendente Lite” relief. Pendente Lite is the Latin term for “pending litigation”. This interim relief may be needed to resolve such issues as child support, spousal support, custody, and occupancy of the house during the pendency of the divorce proceedings. Either spouse may make an application to the court requesting Pendente Lite relief. If there is no court order, there is no determination of these issues. However, the parties can resolve the temporary relief issues by mutual agreement without court intervention if they choose. If the parties cannot agree, then it may be necessary to have the court decide what will happen pending a resolution of the divorce. The temporary relief will be set forth in an order called a Pendente Lite order. This order will be binding on the parties until a new order is issued or until the Final Judgment of Divorce is entered. In Step Two of the divorce proceedings, the attorneys for each spouse use a variety of legal procedures to gather information about the issues presented in the case. 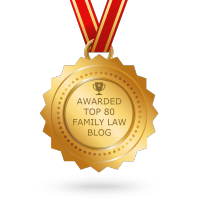 Issues such as financial information about income, the location and value of assets and liabilities, the basis for a spouse seeking alimony, the basis for custody positions, and lifestyle expenses are some of the areas in which information may be sought. Request for Documents – A written request to produce specific documents may be sent to either or both spouses. Depositions – A legal proceeding when a spouse, accompanied by their attorney, is questioned in person under oath in the presence of a court reporter who transcribes each question and answer. Once all of the information has been gathered, the attorneys and spouses proceed to the settlement portion of the divorce proceedings. It is at this point in a case that the spouses and attorneys use the information received to try and negotiate a resolution of the issues. When or if the case is settled, a Settlement Agreement is drafted. This Agreement is a document setting forth the terms on which the spouses agree to end their marriage and it becomes binding when both spouses sign it. This Agreement should control all issues such as custody, alimony, a division of the assets and liabilities and any other issues that involve the marriage. The Agreement is then presented to the court for approval and the Final Judgment of Divorce is entered. If the parties are unable to settle their issues through agreement, then the parties will have a contested divorce, which must be resolved in Step Four. Generally, ninety percent of the divorce cases will be resolved through settlement agreements. However, often spouses refuse to settle until they are forced to do so. If the spouses can not settle, the only other option is trial. It is important to note that there is usually great delay and expense in obtaining a resolution through trial, so it is beneficial for most parties to opt for settlement. In this last Step in the divorce proceedings, the spouses choose to either settle their case or go to trial. When the spouses have settled their case and signed a Settlement Agreement, then this last step in the divorce proceedings is a simple uncontested divorce hearing. During an uncontested divorce hearing, the spouses go to court with their attorneys for a brief hearing. The parties present their Settlement Agreement to the court and after the court approves the Agreement, the Final Judgment of Divorce will be entered. When the parties are unable to resolve their disputes with a settlement agreement, the next step in the divorce process will become a contested divorce trial. The attorneys for each spouse will present their facts to the court and the judge will determine all issues presented such as who gets what and how much. A contested divorce trial can be very expensive. It is difficult to estimate the cost of a trial. Each trial is different since each divorce presents its own unique and personal issues. The cost of a trial will depend on many factors such as the complexity of the issues presented, whether the spouses can agree on some issues and whether experts such as accountants, psychologists, appraisers, etc. will be required. The expert fees would be additional to those of the attorneys’ fees. When the issue of custody is contested, the trial can be even more expensive. A custody trial generally requires expert psychologist reports and several days of trial time in order to properly present testimony from both parties, psychologists and supporting witnesses. In addition to the financial cost of a contested divorce, there is also the emotional cost. Such trials can be very stressful and emotionally draining. 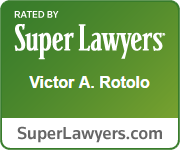 At Rotolo Karch Law we encourage and aid the client in examining both the financial and emotional costs at the beginning of a divorce case and aim to stay on track toward settlement, wherever possible.